This is a follow-up to an article from FindMyShift.com, titled the worst bosses in film. https://www.findmyshift.com/blog/the-worst-bosses-in-film. The article provided a great summary of the different types of bosses we run into. The film versions are exaggerated but still highly representative of the types of bosses most of us have experienced at some point in our lives. Now let’s talk about how you deal with the unscrupulous, the ghost, and the incompetent boss. The “Unscrupulous Boss” will lie, cheat, and steal to get what they want and to get noticed or promoted by upper management. This is one of the few bosses where quitting is a good option. Integrity is everything and you don’t want to get caught up in or associated with anything that could damage your reputation or your integrity. If your company is unwilling to recognize your boss’s lack of integrity, then you shouldn’t be a part of that culture. There is no solution for working with a boss you don’t trust, who takes actions that are illegal or unethical, or worse yet expects you to. Although it may not seem like it at the time, there is always a better option. There is also a more common form of the “Unscrupulous Boss” that is not as blatant or as clearly unethical as we described above. They tend to cross the line every now and then and seem to be good at heart, but just sometimes make bad decisions due to pressure or ignorance. Unfortunately you still can’t afford to be associated with this type of boss. You have to report their illegal or unethical actions immediately so that you don’t end up becoming a part of the crime or cover-up. The careers of the people with good intentions are often ruined while the truly guilty seem to find a way to slide through unscathed. Don’t stay with a boss who takes actions that are illegal or unethical. Your reputation and your integrity are way too important. You will be much happier and more successful when you find a more positive environment. The “Ghost Boss” is becoming more and more common, especially as the number of people working from home swells exponentially. They never seem to be around and are hard to find when you need them. They are constantly on business trips, in meetings, or just working from a different location. The good news is they are not necessarily a “bad” boss, they are just difficult to work for if you don’t put the right structure in place. The secret to being happy and successful with a “Ghost Boss” is to schedule regular meetings and provide regular updates via text, email, or voicemail. Send them your goals at the beginning of the week or month and then show them that you accomplished those goals at the end of the week or month. Have an agenda ready for each meeting and ask them regularly what else they need from you. With a “Ghost Boss” it is usually better to solve the problem and tell them your solution, decision, and next steps rather than asking them to solve the problem. They trust you or they would be communicating more often. Reward that trust by making decisions, taking action, and keeping them informed. A “Ghost Boss” can provide you with a lot of autonomy and opportunity. Create a structure that works for both of you and you will be happier and more successful. The “Incompetent Boss” doesn’t know the industry, their particular position, or just doesn’t know how to lead. There are all kinds of reasons the Incompetent Boss gets their job. Maybe they were really good at a lower level job, maybe they have a good friend or family on the executive team, or maybe they have just been around so long, they got promoted because of seniority. Whatever the reason, they are still your boss and you still need to find a way to deal with them in way that makes you happy and successful. The conundrum with an “Incompetent Boss” is they know they are incompetent, but they don’t want anyone else to know. Even though it is obvious to everyone, their worst fear is that anyone finds out. So they will try to hide their incompetence at all costs and will become very defensive any time it is brought to light; which means they will make you look bad, rather than take the blame themselves. So the secret to managing an incompetent boss is to help them look good. Subtly give them ideas and tips to get them on the right track. Implement what works instead of exactly what they tell you when you know it doesn’t work. They will quietly appreciate your help even if they don’t give you public recognition. Take the role of an unofficial leader and help your team be successful. Don’t let people stand around and wine and complain about your boss’s incompetence. Do what needs to get done so that you all feel good about the team’s accomplishments. An important note: Don’t wait for your boss’s incompetence to be recognized by the higher level management team. Unfortunately, that could take a long time if it happens at all. Instead, become a leader on your team and look for other opportunities that come your way as your leadership is recognized throughout the organization. Help your team and your “incompetent boss” be happy and successful and you will be happier and more successful. Guest blog by Jess Stuart. So the ‘stress’ of Christmas is over, the presents have been opened, we’ve filled ourselves with an abundance of food and we hopefully are now able to relax and breathe, until the credit card statement arrives! It can certainly seem a lot more complicated these days than it used to be. For me Christmas is about family, living overseas this is one of the few times I get to be with my family and as we pull crackers across the table I can’t help but feel grateful for the time we have together, the abundance of things that really matter and how fortunate we are in a world where so many others are not. At this time of year I am also reminded of Christmas’s past and those family members who can no longer be with us and wish that I’d really taken the time to appreciate the big Christmas gatherings we had when we were children, the joy of Christmas and being with those we love, those times can never be repeated and during the moment we often overlook this. We have a habit of focussing on what we haven’t got instead of all the things we’re lucky to have, even the basics like food, warmth, health, education, freedom. It is human nature to focus on the tiny bits that are not right rather than the large chunks that are. This leave us feeling dissatisfied and always wanting more but that is a never ending journey, we’ll always be left wanting more! We feel we have to ‘have’ things to be free when in fact it’s the opposite, our struggle to hold onto things brings the very pain we are trying to avoid, we are terrified of letting go for fear we’ll have nothing but this is the true path to living. I look at those who live simply and can’t help thinking they know the secret, they have mastered the art of living. After all, everything material we have can be lost tomorrow and the irony is if you’re asked what you most value it’s likely to be the things money can’t buy and put under the tree, things like love, your health and your family. It’s also the time of year for welcoming in the New Year. A time when we look over the year that has gone and look forward to the potential of a new start. It’s been a year since I left my corporate job to follow my dreams and I’ve learned so much. I’ve published my first book and grown my business but I still catch myself focusing on the things I haven’t achieved yet, there’s been no media appearance or sell out tours! As I look ahead to 2016 and start to set my goals for the year I’m also reminded to be grateful for the last year and how far I’ve come, to celebrate the successes along the way. Often in business and in life we can become so consumed with our quest for development and success that it’s easy to overlook the challenges we’ve overcome and the small successes along the way that get us to this point. It’s healthy to have goals to aim for and the start of a New Year brings new opportunities for progress. But if we always focus on what we haven’t got it can detract from the gratitude for the things we do have and the success we’ve had along the way. This can also lead us into the trap of feeling we should be further along than we are, particularly in business. It can be easy to compare our success to others, or our own expectations and get stuck on the treadmill of wanting more. It’s worth remembering to appreciate the journey and celebrate our successes along the way. Whilst it is the time for goals and a time for receiving it’s also a time for remembering all we have to be grateful for. Speaker, author and coach with a mission to empower people to realise their potential to achieve balance in life, inspiring people to find their purpose, rediscover what matters and make changes to bring about a healthier, happier world. After a successful career in the corporate HR world Jess decided to follow her passion in Health and Wellness. A qualified yoga and meditation instructor with a certificate in Life Coaching. Jess has trained in Buddhist meditation and mindfulness. Having lived, worked and volunteered in many countries with some inspirational people Jess draws her life experience into her work to share the principles of health and happiness. 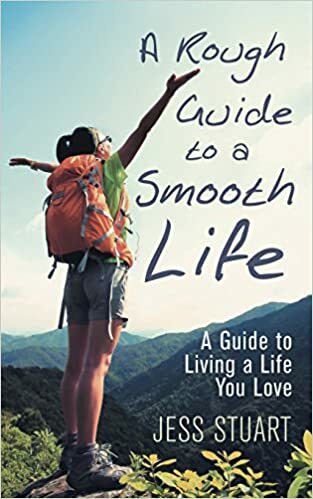 Her first book ‘A Rough Guide to a Smooth Life’, A Guide to Living and Loving Life is out now. My son wrote this for a college paper. His logic seemed to make sense. There has been a large majority of Americans who believe we need to raise our Minimum Wage to solve some of the economical and ethical problems this country is facing. Such problems include lifting low-income people out of poverty and helping many of them get out of an endless cycle of debt. It is believed that if we don’t help the low-income wage earners we have a significant risk of increasing the income gap which can have extremely negative impacts on society. It is believed that as the gap between the “haves” and “have nots” increases, the potential for civil unrest and a possible end to the American way of life also increases. The Democrats are focused on raising the minimum wage to $15 while the Republicans are focused on not raising the minimum wage. I believe that we as UTA students, can find answers that fall somewhere in the middle. We need to take care of our citizens and help close the income gap, but we can and should find solutions that address the concerns of both parties. We need solutions that don’t make you choose between Democrats or Republicans. We need solutions that are good for America. Democrats want to raise the minimum wage to help keep hard working but unlucky low wage earners out of debt and low-income families out of poverty. The Republicans argue that raising the minimum wage will create other problems that will hurt low-income households in other ways. They argue that as soon as the minimum wage goes up the number of jobs available to them will go down. Doubling the minimum wage will be an extra labor expense to companies since they will have to pay more not only to minimum wage earners, but also to anyone who is currently making less than $15 per hour. This increase in expenses means lower profits for the companies. To compensate for lowered profitability the companies will either raise prices, reduce the number of available jobs, or both. So, raising the Minimum Wage could negatively impact low-income families by hitting them with higher prices and fewer opportunities to work. There are several alternatives that would address the concerns of both groups by providing some increase in minimum wage while easing the negative profitability impact to the companies. The first alternative is to distinguish between the family and the individual. When the minimum wage was created in 1938, the goal was to make it a living wage, but not a living wage for a family of three but a living wage for an individual person (Worstall, “The 7 most Dangerous Myths About A $15 Minimum Wage” 1). Taking that into account, this would make the average modern day living cost in the US to be just under $10.10 per hour, which is still higher than what the Federal minimum wage is at now (Berman). So, let’s take it a step farther, during this time, around the 1940’s, a large percentage of the American work force were paid the minimum wage. That number had decreased in 1979 to 13% and continually decreased until finally in 2014 only 3% of Americans, working an hourly wage, worked at or below the minimum. Of that 3% only 37% are the major contributor to their family’s income (Haugen 1). This means that a large portion of minimum wage earners do not have a family in need of their support. So in order to satisfy both parties, one solution could be to keep the minimum wage lower for the individual, around $10.00, then raise according to whether the employee is married or has kids. A married person would receive an extra dollar on their minimum wage, and person with children would receive an extra dollar per child (up to three children). This not only provides more for families, it encourages marriage and family values, which might be more attractive to the right wing who currently oppose raising minimum wage. This would also be good for companies as it would help families, but have much less negative impact on their profitability. Another alternative that reduces the negative impacts to company profitability yet still helps low-income individuals make more money is to distinguish between teens and adults. Raising minimum wage could actually be harmful to teens looking for a first job. Teenagers usually have very little job experience and in most cases the only thing they can put on their résumés is a simple award they won in middle school. It takes time and money for companies to train inexperienced employees, and there is additional challenges caused by the high likelihood they will make a lot of mistakes before they get it right. This makes it quite a risk and hassle for employers to hire a young teenager. “In 2009, when they raised the minimum wage more than 600,000 teenagers’ jobs just disappeared.” (Dunkelberg). It becomes an endless loop of teens looking for job experience but are unable to find jobs because companies are not willing to pay the new higher minimum wage for an inexperienced teen. A solution to this challenge is to not raise the minimum wage for anyone under 18 years of age. Inexperienced teens get paid a rate that matches their ability and experience. Once they become adults; we are assuming here that turning 18 makes you an adult, then they get paid the new minimum wage. So once again, this alternative is good for everyone. Companies are better off because they don’t have to pay higher wages to inexperienced teens. Teens are better off because they have more opportunities to get jobs where they can gain experience and learn new skills, and the low-income wage earners who need to support themselves are better off, because they will get paid a higher minimum wage. One other alternative that completely eliminates the negative profitability impact to companies and their need to cut jobs or raise prices, while also raising the potential income for low-income wage earners is a wage subsidy. “A wage subsidy adds dollars-per-hour to the worker’s wage, on a sliding scale that pays the highest subsidy for the lowest wage and phases out to no subsidy as the wage increases”(Cass). It would be completely funded by the government and is basically raising the Minimum Wage for the low-income earner without changing the profitability of the companies. It could be administered with vouchers given to the workers by the government or through the companies directly, similar to FICA withholding and tax filings, only in reverse. The previous solutions were directly addressing changes to the minimum hourly wage. There is another solution that helps increase the annual income of low-income wage earners but is administered through the government and doesn’t involve the companies they work for. It consists of increasing the funding and amounts paid for the Earned Income Tax Credit, a program that already exists and is expected to benefit 26 million households by providing more than $60 billion dollars in tax credits in 2015(Tax Policy Center). The Earned Income Tax Credit or EITC was proposed in the 1970’s, signed by President Ford and then expanded by President Regan (Hungerford and Thiess). The main idea behind the EITC is to provide an incentive for those in poverty to work harder and longer hours. The EITC comes in the form of a Tax Credit and requires families to be aware of it and to be able to claim it when they file their annual tax returns. The amount paid through the EITC changes based on marital status and number of children. The amount of the tax credit works on a sliding scale based on the amount of income they earn. An individual or family could have received a tax credit up to $6,143 in 2014 (Tax Policy Center). It is a great program that has many benefits. “In 2013, the EITC lifted about 6.2 million people out of poverty, including about 3.2 million children” (Policy Basics). It is based on willingness to work. Rather than raising the Minimum Wage, we could increase the EITC. There are two ways to increase the EITC, increase the number of low income people eligible or increase the amount given per person. In order to match a $10 dollar minimum wage it would need to increase by 50% and the EITC amount per family would have to double to match a $15 Minimum Wage. The pros of the EITC are that it doesn’t directly impact businesses so it doesn’t negatively impact hiring levels and prices. Some of the negatives of the EITC include that is it is only paid at the end of the year so it doesn’t help low-income wage earners on a daily basis. Also, people don’t necessarily understand it or how to apply for it on their taxes so without professional tax help they can miss out on the opportunity. The blog, “A False Choice”, suggested that a good compromise solution might be to combine both raising the minimum wage and expanding the EITC, but both by lower amounts. By doing this you get all the benefits of both while making sure that everyone who is in need is covered. The solution to closing the income gap and ending the Minimum Wage debate isn’t to pick a side and argue until you win. The solution is to invite vibrant discussion, listen to other people’s concerns and points of view, and then craft solutions that help the most people possible. Both Democrats and Republicans have good ideas and reasonable concerns. Making everyone happy will be an impossible task. Rather than choosing sides and endlessly debating the merits of our own points of view, let’s find compromise solutions that although a little painful, we can live with and support. Let’s stop fighting to win as Democrats or Republicans and start finding a way to win as Americans and America.